Despite the reporting of multiple websites to the contrary, Taylor Swift is indeed registered to vote in the State of Tennessee in the upcoming midterm elections, Saving Country Music is able to independently confirm. After Taylor Swift compelled the public to register to vote in an Instagram post earlier this week and came out in support of Tennessee Democrats Phil Bredesen for Senate and Jim Cooper for House of Representatives, Taylor Swift was given credit for a dramatic spike in voter registrations in the state. But unable to find any record of Swift being registered to vote herself via Tennessee’s online voter registration database, multiple website’s pounced on Swift for her hypocrisy. The website InfoWars ran an article stating plainly, Taylor Swift Is Not Registered to Vote in Tennessee. The website Information Liberation became the origination point of the story after they attempted to pull up Taylor Swift’s registration record online and failed. Since then Information Liberation’s story has been corrected to include that Swift’s record may come up with a variation of her name. However InfoWars and others have yet to offer corrections. Taylor Swift has been given credit for inspiring upwards of 65,000 individuals in Tennessee to register to vote, but some experts dispute that number. Since Swift did not include a specific link as part of a dedicated campaign that could have tracked the number of registrations the post resulted in, there is no way to accurately track how many people signed up specifically due to Taylor Swift’s efforts. Swift’s Instagram post was also in the midst of other voter registration campaigns, and when voter registration was nearing the deadline in Tennessee when registrations usually see a spike. Either way, Taylor Swift did ensure that the most important person she is responsible for was registered. We’ll have to see come Election Day if the Swift effect had any sizable impact on the eventual results. Of course someone would spread a rumor like this, because if a celebrity expresses political views opposite of your own they must be a hypocrite, or a liar, or a traitor, or mentally unstable. Sigh..
Who in their right mind would believe anything posted at Infowars? If they post the sun will rise in the east tomorrow, wake up and look west. As for Taylor, good on her. I believe she is a blight and may be one of the causes of global warming among other evil things, but good for her for stepping out and taking a stand. But no respect for those it impacted because if you are not thinking beyond what a shallow pop star is saying maybe you shouldn’t be voting. But I’m always in favor of those that say what they believe no matter how insane. Yeah, I’m looking at you Kanye. I would. Just because they bash Trump 24/7, doesn’t make them fake news. I totally have no desire to get into the current politics surrounding Taylor Swift, but isn’t one of the basic tenants of voter registration that you must use your real name and address information? Even usa.gov says that those that MAY have problems during elections are “people who have changed their name or permanent address and have not updated their voter registration” and “people whose name or address on their ID doesn’t match the name or address on their voter registration”. However, at least with regards to absentee voting in the state of Tennessee, the government requires the name of the registered voter, address of the voter’s residence, voter’s social security number, voter’s date of birth, and voter’s signature. Either way, it would seem as though Tennessee’s voter ID laws are too stringent to allow someone to use a fake name to vote under unless the state is willfully breaking the law to accommodate her, which seems to be their admittance. Ultimately it is not the name, but like you said, the social security number, address, date of birth, etc. of the registrar that ensures the person is who they say they are, and that they have a legal right to vote in elections. It appears Taylor Swift registered as T A Swift, which is her first initial, middle initial, and last name. It’s not like she registered as Chester McFlufferhuffin and is trying to vote twice. She’s a massive pop star probably doing what she can to protect her privacy. I’d be more interested in how Chester McFlufferhuffin votes. He sounds like a hard working guy who comes from good stock. I vote red for the orange feller. Thanks for the clarification! Taken at face value, Mark Goins’s statement is slightly weird, but specifying exactly how her name is registered makes sense. At least she didn’t try to go with Taylor Frankenfurter or the ever-popular Michael Jackson Montgomery! I don’t know about all this. Because of family tradition I have 4 middle names and a hyphenated last name. However that version is only found on my birth certificate and SS card. On all other legal documents (my driver’s license, tax forms, financial records, employment contracts, Blockbuster membership card) it’s just my first name, one middle name, and one last name — the same version I’ve used my entire adult life. During one election cycle, somehow the long form of my name was on the voter registration list that the poll workers have and the short version was on my ballot. Subsequently I was not allowed to vote. I was vehemently and repeatedly told that the two names must match. After some research I found this was true of most states. I did not specifically research Tennessee at the time but I believe NPC is correct: the name matters. One cannot register to vote (at least legally) with any other name other than one’s current legal name. You are mixing up different things here, in my opinion. Yes your names have to match on your registration and the list the poll workers have. however that doesn’t matter if it’s the short form or the long form. That is probably why the guys Trig talked to mentioned she was very specific how she wanted it recorded. Bryan, I hear what you’re saying. But what I’m saying is that, so far as I understand it considering what happened in my case, a person must be registered to vote with their legal name and both the voter logs AND ballot must reflect said legal name. T A Swift is not her legal name. According to the [begin sarcasm] always accurate wikipedia [end sarcasm], Allison is her middle name and Finlay is her mother’s maiden name. If InfoWars posted anything based in reality it would be a first. 65,000 people did not register to vote in TN after her announcement that was the national number of people who registered on Vote.org. 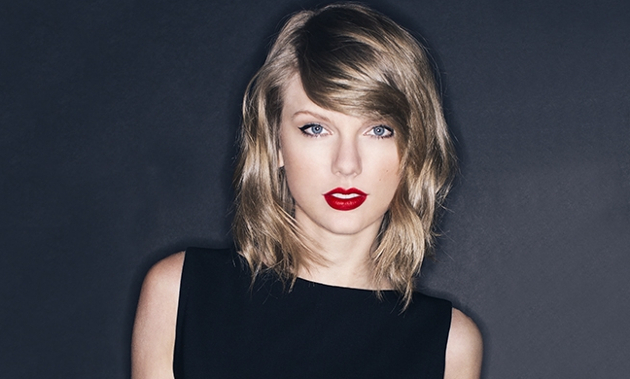 In TN 2,144 people registers post Taylor Swift on the last day of eligible registration. In comparison during the registration period of the last mid term election 1,700 people registered on the last day of eligible registration in TN. Reporters who are writing a story to correct inaccurate reporting in another story should get the facts correct in their own story. The 65,000 was reported by one outlet, and then parroted in the media echo chamber without anyone checking the facts similar to this “Taylor Swift Is Not Registered to Vote in Tennessee” story. I had multiple folks reach out to me, wanting me to write about Taylor Swift lying about being registered to vote in Tennessee. It took me less than 15 minutes to get the highest ranking authority over Tennessee elections on the phone, and speaking to me on record about how Taylor Swift was registered, and why her name was not coming up in the online database. I don’t want to act like I’m some beacon of virtue, but a lot of this misinformation is so easy to dispel if media members would just take a few more minutes to get stuff straight before they report. I’m sure Taylor Swift did compel some new people to register to vote that wouldn’t have otherwise. But it is impossible to know the real number. Here’s the Taylor Swift story I want to see: “The Music Modernization Act of 2018 and why Taylor Swift did not attend the signing at the white house.” Very sad since she pulled her music from spotify before and seemed to be active in the creation of this bill. This has got almost no attention from the media. As far as I know Taylor has not said a word about this. Is it because Trump was the one signing the bill? Was it because Kanya was there on the same day? Is there some sort of feud with her and Marsha Blackburn? Marsha has worked to pass this bill for years. Just a few days ago Taylor throws her hat into the political ring for the Democrat senator who is down in the polls and stated how horrible Blackburn is. Why did she do that? lol. Reads like a campaign volunteer ready-made response. What’s not clear is why she waited until the last minute to support a person that has almost zero chance of winning. The timing of the music modernization bill and her silence on the issue is very interesting to me. I don’t see how you could possibly make any connection to the music bill. None. You’re right Liza. Nothing to see here folks, move along. Did Blackburn do anything more than those who authored the 3 bills that became the act and the other 48 sponsors or is she just using it as campaign rhetoric? She certainly seems to be getting full credit from her constituency. liza, I hope they at least give you a per diem for all your hard work. John Rich mentioned her by name at the White House signing and I’ve read the article in the Tennessean that said she was involved in it. I have no first hand knowledge of the situation. Also, btw John Rich was not the only country singer in the room and actually most of the people signing are Nashville in one way or another. And is TS really country anymore at all? Well of course John Rich would mention her – she’s his Rep and he supports her. Craig Morgan was the other country songwriter there. No one from several music organizations quoted in Music Row Magazine mentions Blackburn. I’m just saying that when she has been mentioned, it has been as one of many (49) who co-sponsored and supported this from both sides of the aisle. In fact, the Tennessean gave Senator Lamar Alexander credit for brokering the deal with others on the politician side and nowhere is Blackburn mentioned. She’s bragging a bit loudly for how little her name is mentioned in credits. Just sayin’. Not hard work at all, but bless your heart – I have followed this all along. Trigger are you reading this?!?! This “liza” gal is WAY too involved. This ain’t no Swifty. I struck a nerve big time. Please look into this. I’ve been reading this site for many years and I have faith in you. I know you think that Mean song was about you but don’t let that get in the way. There is something major happening between Taylor and Marsha Blackburn. I don’t know what it is but it was enough for Taylor to stick her neck out politically when she never has before. AND it was for a losing candidate. Something big must have happened for her to do this because she has SO much to lose and not much to gain. Marsha is a member of the Illuminati, BEH. They have been trying to control Taylor for years. It’s why Taylor left Spotify – Marsha was playing her songs backwards to convert her fans. It’s funny how such a mild political statement blew up, especially when she only made that instagram post to separate herself from the “Taylor Swift is racist!1!” crowd on the left and the Alt-right and Nazi trolls who idolized her on the right. It was a career / image move and I doubt she’ll ever make any other serious political effort in the future besides maybe tossing a bone to the Dems in 2020 to avoid what her silence did to her image in 2016. Part of saving country music is a critique on the celebrity and the media’s treatment of the celebrity. The treatment of celebrities outside of country music affects how the media treats country music stars, which eventually affects their image and music. Trigger’s Taylor/Kanye article hit the spot last week. Look at how much politics has been injected into country music in the past year. Look at how that has affected artists’ images and public perception, especially with gun topics. Refer to the Eric Church-Rolling Stone article and Trigger’s analysis from last month. So when influential “news” outlets start misinterpreting and misreporting these sorts of topics, it’s up to others to correct them- especially when they reported on the topic just days earlier. You also can’t look past the fact that Taylor’s post was specifically about Tennessee politics. It goes without saying that when’s Tennessee and Nashville’s biggest celebrity weighs in on politics, it it will have affects- whether ripples or waves- on the country music industry’s approach to politics. Just last week, Marren Morris posted a copy of a RBG biography gifted to her by…. Taylor. I do not believe that Trigger posted this article because “part of saving country music is a critique on the celebrity and the media’s treatment of the celebrity.” I think he posted it because part of saving country music is a critique on Taylor swift and the media’s treatment of Taylor swift. If we’re going to start posting corrections to Infowars, we’re going to need a bigger internet. Everyone who knows me on this blog knows that I’ve always been critical of Taylor but seriously an article on her voter registration??? Come on… leave her alone. If I had to choose between President Celebrity, 2020 Kanye, or Taylor to lead the country I’d be team Taylor which is saying a lot because I hate all three of them. The difference here is that Taylor has a brain in her head (we’ve seen that with her success in music) the other two… not so much. The guy she is supporting for senate is running a false ad about his NRA rating and the Project Veritas video on his campaign is interesting as well. You can go back and forth endlessly with statements like yours. At the end of the day, it’s sometimes just best to accept someone’s choice. Matter of fact, why is ANY article on Swift posted here? Money talks. Even if all it says is Blah Blah Blah. Emmylou actually did a tv ad for Bredesen. But, like the pop princess’s recent endorsement of Phil, it’s not enough. He couldn’t get elected with the support of Johnny Cash, Elvis and Dolly. Marsha’s clubbing him like a baby seal. I’m glad someone corrected the totally bogus claim that 65,000 people registered in TN in the wake of Taylor’s endorsement- I didn’t buy it for a minute. There is something very fishy going on here. There had to be a reason Taylor decided to endorse a losing candidate in the final weeks of a campaign. She has always kept silent on politics, why now? What can she possibly gain? There is more to this story and my hope is that Trigger will do some investigative reporting. Possibly, but it may just be celebrity hubris. I appreciate this article since her credibility was in question—helping people to register, the Instagram post, and encouraging people to vote if she couldn’t even do it herself. It makes sense why she would try to ‘hide’ her name as much as possible. and she has done a lot of good with her ‘celebrity’ status along the way. She has a lot, but has been quick to give a lot. Also she visits sick children in the hospital, has been for years now. I think that takes a special person. God, please don’t start calling this the Swift effect. She is indeed registered, under the name T A Swift, in Davidson County, Tennessee (Nashville). Her full name is Taylor Alison Swift, so she registered using her initials. InfoWars and the rest of those websites don’t care about truth. Democrats have had ample opportunity to change direction- and haven’t. Republicans have had ample opportunity to change direction- and haven’t. Good for her, does she want a medal? lots of folks are registered to vote in TN. who cares if she is? Not to split hairs, but technically Taylor Swift isn’t registered to vote in Tennessee, T A Swift is. But seriously; no one from Tennessee is shocked that she would vote Democrat. Everyone knows that Davidson and Shelby county are going to go blue, and the rest of the state traditionally goes red. Leftist Taylor Swift announces she’ll be supporting Democrat Phil Bredesen instead of Marsha Blackburn because of her “atrocious” record on women’s rights. Next morning, Blackburn’s numbers spike-up 14 points. Priceless.. I am always left scratching my head at how modern carpetbaggers continually get elected down South. I guess the region is now so poisoned with northerners fleeing the hell they created in their own benighted homelands.